With STP, the key is for all the switches in the network to elect a root bridge that becomes the focal point in the network. All other decisions in the network, such as which port to block and which port to put in forwarding mode, are made from the perspective of this root bridge. Each VLAN must have its own root bridge because each VLAN is a separate broadcast domain. The roots for the different VLANs can all reside in a single switch or in various switches. Bridge priority must be in increments of 4096. The very basic thing that an organization expects while designing its network is maximum uptime, and this maximum uptime can only be achieved when there is redundancy in the network. So in this article, we'll design a network for a company hosted in a datacenter with redundant devices and links. NOTE: The configuration of devices in this article does not include configuration for securing the control-plane of core or aggregation routers. A stackable switch is a network switch that is fully functional operating standalone but which can also be set up to operate together with one or more other network switches, with this group of switches showing the characteristics of a single switch but having the port capacity of the sum of the combined switches. Following are some of the benefits of stacked switches. Multiple physical switches in a stack appear as a single logical switch. This eases management overhead because there are fewer devices in the network to manage. A single IP address is used to manage the logical switch. All manageable entities (for example, Ethernet interfaces and VLANs) on all physical switches can be configured and managed from the logical switch. The logical switch will appear as a single entity in the network. In a Layer 2 network, the logical switch will appear as a single spanning-tree entity. In this article, we will study how forwarding decisions are made in a MPLS Network. 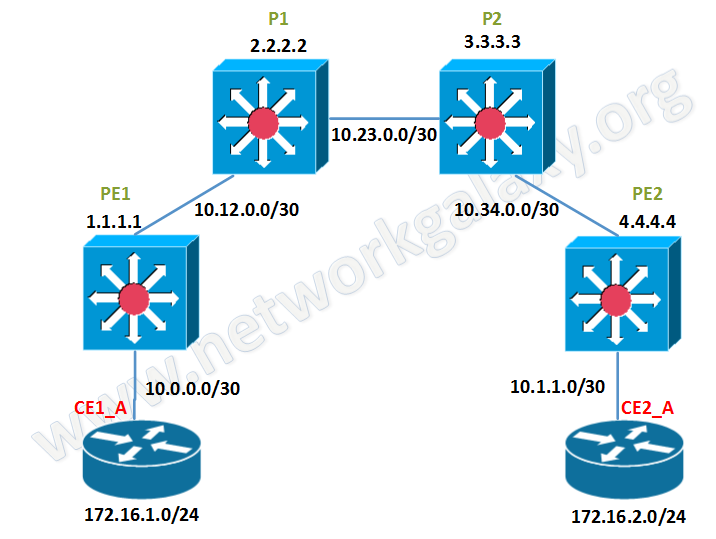 You can check out the configuration of the network at Creating Layer 3 MPLS VPN. You can configure a backup IPsec interface only in the CLI. The backup feature works only on interfaces with static addresses that have dead peer detection enabled. The monitor option creates a backup VPN for the specified phase 1 configuration. Redundant tunnels do not support Tunnel Mode or Manual Keys. You must use Interface Mode. In this article, we have tried to include various contents that are required for you CCIE Datacenter studies. Get the updated syllabus for your Certification from here. Titanuim Image 6.1.1.rar -- You can find this with google search. Active/Active failover is only available to security appliances in multiple context mode. In an Active/Active failover configuration, both security appliances can pass network traffic. In Active/Active failover, you divide the security contexts on the security appliance into failover groups. A failover group is simply a logical group of one or more security contexts. You can create a maximum of two failover groups on the security appliance. The admin context is always a member of failover group 1. Any unassigned security contexts are also members of failover group 1 by default. We have already seen the configuration for Active/Standby failover in the previous article. This article focuses on how to configure an Active/Active Failover configuration on ASA Security Appliance. Configuration backup is an important part of network administration. When there are multiple nodes (routers/switches) in a network, some kind of automation is needed to take regular backups. Apart from third party applications like rancid (free) and Kiwi CatTools (free/paid), you can use Cisco's IOS archiving feature for regular configuration backups. In this article, we'll configure a Cisco router to send configuration backup to a FTP server. First we need to configure the FTP parameters, so that router can authenticate to FTP server. You have worked as a network engineer for many companies, but now you have started your own collocated datacenter. At the starting, due to budget constraints, you want to be smart and decided to share a single physical firewall (Cisco ASA) between two customers i.e. Customer-A and Customer-B. Both customers should feel that they have a separate Firewall for them. None of the Customers should be able to manage others firewall policies. Customer-A has opted for Silver plan, so allocate the resources accordingly. Customer-B has opted for Gold plan, so allocate the resources as per plan.